a company registered in Hong Kong whose registered office is at Unit F, 10/F, Infotech Centre, 21 Hung To Road, Kwun Tong, Hong Kong. The terms “we”, “our” and “us” when used in these Terms means V-Care Asia Limited (“V-Care Asia”). The terms “you”, “your” and “yours” when used in these Terms means you as a user of the Website. 1.1 Please read the following terms and conditions (the “Terms”) carefully before using the Website. These Terms form the agreement between you and us and govern your use of the Website. 2.1 Copyright, database right and all intellectual property rights in the content of the Website are either owned by or are licensed to V-Care Asia. Except as specifically provided in clause 2.2, no part of this Website may be copied, reproduced, republished, uploaded, posted, transmitted or distributed, in any form. 2.2 You are granted a limited license to access and use the Website and to download and print one copy of any portion of the Website to which you have properly gained access. Except as set out in this clause 2.2, no part of the website may be reproduced or stored in any other website or included in any public or private electronic retrieval system or service without V-Care Asia’s prior written permission. 2.3 All trademarks and logos shown on the Website are either owned by V-Care Asia or a third party. No rights are granted to use any trademarks or logos which appear on this Website other than as expressly set out in clause 2.2 above. For the avoidance of doubt, you may not use any meta tags or any other hidden text utilising V-Care Asia’s trademarks without our prior written permission. 2.4 Under no circumstances shall the use of this Website grant to any user any interest in the content of the Website or in any intellectual property rights of V-Care Asia whatsoever. 3.4 You must not access the Website for unlawful use, including use which would constitute a criminal offence under Hong Kong Basic law. You hereby agree to on demand indemnify and keep indemnified V-Care Asia for any costs, claims, liabilities, fines, expenses, demands, proceedings and losses whatsoever made against or incurred by V-Care Asia as a direct or indirect result of your breach of this clause 3.4. 4.1 Any material posted on the Website is provided on an “as is” basis. It is not intended to amount to advice and is not intended to diagnose or treat a health problem or disease. If you have a health problem or suspect you have a health problem we recommend that you consult your professional health advisers. 4.3 We make no representation that material on the Website is appropriate for use or available outside Hong Kong. If you access the Website from outside Hong Kong, you are solely responsible for compliance with any applicable local law or practice. 5.1 From time to time, this Website may contain links to other websites which we consider may be of interest or helpful to you. These links are provided for your convenience only and V-Care Asia has no control over nor is in any way responsible for the content or availability of such websites. V-Care Asia therefore does not endorse or make any representations about them, or any material found there, or any results that may be obtained from using them. If you decide to access any of the third party websites linked to the Website, you do so entirely at your own risk. 6.1 V-Care Asia shall not be liable to you in respect of any goods or services that are advertised or promoted on the Website by any other suppliers and you should make your own inquiries to ensure that the goods and services offered by those suppliers are suitable for your purposes, are (as the case may be) of satisfactory quality or provided with reasonable skill and care and that you have read and agreed any terms of business under which those goods and services are supplied. 7.3 While V-Care Asia endeavours to ensure that the Website is normally available 24 hours a day, V-Care Asia shall not be liable if for any reason the Website is unavailable at any time or for any period. 8.1 V-Care Asia is providing the Website on an “as is” and “as available” basis and to the fullest extent permissible by law makes no (and expressly excludes all) warranties that the Website will meet particular requirements, or be available, accessible, uninterrupted, timely, secure or operate without error or that it will be free from viruses, worms, trojan horses or other harmful elements. No content or information obtained by you from the Website, whether written or oral, will create any warranty or other obligation not expressly stated in these Terms. 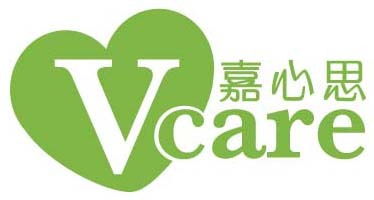 8.3 In the event that V-Care Asia are held liable by a court of competent jurisdiction, for any loss you suffer as a result of your use of, or inability to use, the Website, V-Care Asia’s maximum liability to you will be limited to $100 in Hong Kong Currency. 8.4 Nothing in these Terms shall exclude or restrict any liability for death or personal injury arising from the negligence of V-Care Asia or for any liability which cannot be excluded or limited by law. 8.6 In the event that V-Care Asia are held liable by a court of competent jurisdiction, for any loss you suffer as a result of your use of, or inability to use, the Website, V-Care Asia’s maximum liability to you will be limited to $100 in Hong Kong Currency. 8.7 Nothing in these Terms shall exclude or restrict any liability for death or personal injury arising from the negligence of V-Care Asia or for any liability which cannot be excluded or limited by law. 9.1 These Terms and your use of the Website shall be governed by and construed in accordance with the laws of Hong Kong. By using the Website, you accept that any dispute under these Terms or arising out of the use of the Website (including non-contractual claims or disputes) shall be subject to the exclusive jurisdiction of the Hong Kong courts to which you submit. 11.2 Any waiver by V-Care Asia of a breach of any provision of these Terms shall not be deemed to be a waiver of any subsequent breach of any provision.